Mara is of Ni-Vanuatu and Tokelauan descent. His mother is from Tokelau and his father is from Vanuatu. Mara attended St Patrick's College and played for the St George club in the Wellington Rugby League competition. He then went on to play for the Wellington Orcas in the Bartercard Cup. He was a Junior Kiwi in 2006. 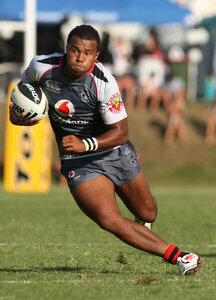 Mara joined the New Zealand Warriors in 2008 for the inaugural season of the Under 20's Toyota Cup. He played 39 games for the Juniors Warriors over two seasons, scoring eleven tries and finishing the 2009 season as the squads captain. In 2010 Mara played for the Auckland Vulcans before making his National Rugby League debut for the Warriors on the 21 August against the Manly Sea Eagles. He played in the Auckland Vulcans 2011 Grand Final loss to the Bulldogs. 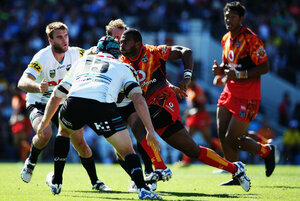 He was re-signed with the Warriors until the end of 2013. In 2014 Mara joined the Wynnum Manly Seagulls in the Queensland Cup competition.